. إن Adelaide Royal Coach حريص على توفير الراحة للنزلاء، فلا يوفر الموظفون جهداً في تقديم أفضل الخدمات وضمان حسن الاستقبال. يقدم الفندق خدمة الغرف على مدار الساعة, واي فاي مجاني في جميع الغرف, مكتب الاستقبال على مدار الساعة, مرافق مخصصة لذوي الاحتياجات الخاصة, تخزين الأمتعة لضمان الراحة القصوى لضيوفه. تنعكس أجواء Adelaide Royal Coach في غرف الضيوف.تلفزيون بشاشة مسطحة, اتصال لاسلكي بشبكة الإنترنت (مجاني), حوض الاسترخاء, غرف لغير المدخنين, مكيف هواء هي بعض الميزات الموجود في العديد من الغرف. صممت خدمات الاستجمام في الفندق والتي تتضمن ساونا, حمام سباحة داخلي لمساعدتك على الاسترخاء والراحة. يشكل Adelaide Royal Coach بخدماته الراقية وموقعه الممتاز، قاعدة مثالية للاستمتاع بإقامتك في أديليد. 20 minutes walk to the shopping and dining district, 30 minutes walk to botanic garden, 40 minutes walk to Chinatown. Quiet area with sauna and swimming pool. Includes room service everyday unless otherwise stated. Staff are really friendly too! Rooms are clean but furniture needs updating. Great location. sufficient parking for the size of the motel. rooms are bit old. there is a fridge and coffee making facilities in the room. no microwave. the pool is open until late which is a plus. the pool is heated. however its more like not cold. but not really warm. Great location for Norwood and city. Clean well priced hotel, we stay here often. Good location as you can just walk into the city. OK it's a bit tired but for what you pay and being so close to the city it's fine. Pool is indoors and warm, bit small, sauna works well. 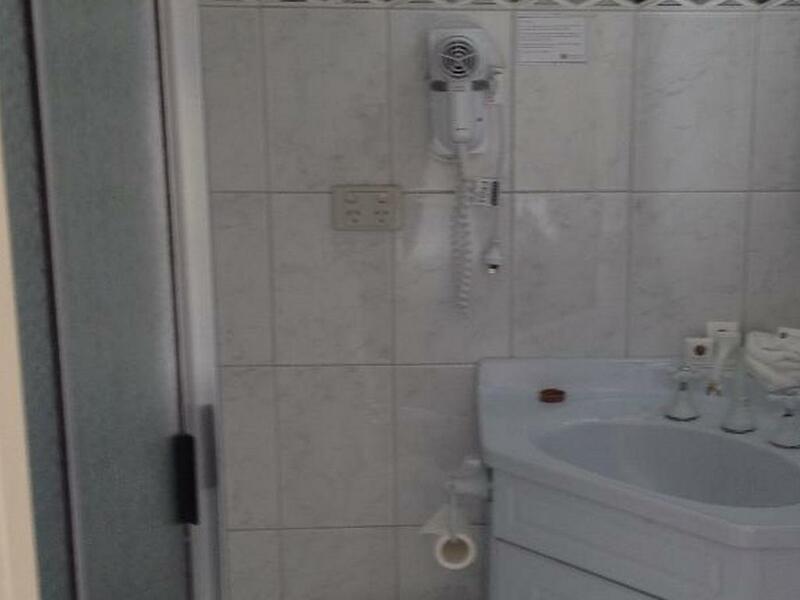 Room is just ok, bathroom needs a reno as it is really old but as I said for the money you pay you cant expect too much! After an 8-hour drive from Melbourne, this place felt very welcoming. The lady at the front was helpful, answering our queries and giving us tips to make the most of our short visit. 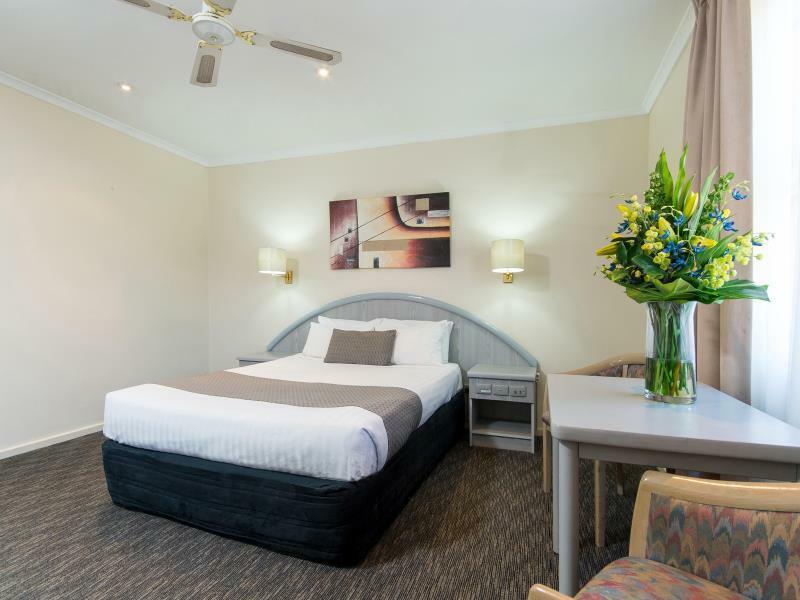 We were glad we could relax after doing our long day trips within Adelaide and surrounds, and return to a clean and comfortable room. The room was a good size for a family of four. The kids loved the indoor pool, and it was a relief to find laundry facilities within the premises (with free detergent!). There was reliable Wifi access, which was a plus for all. The one disappointing thing during our stay was finding used teaspoons washed improperly, but everything else was maintained well enough when requested for the room to be made up. 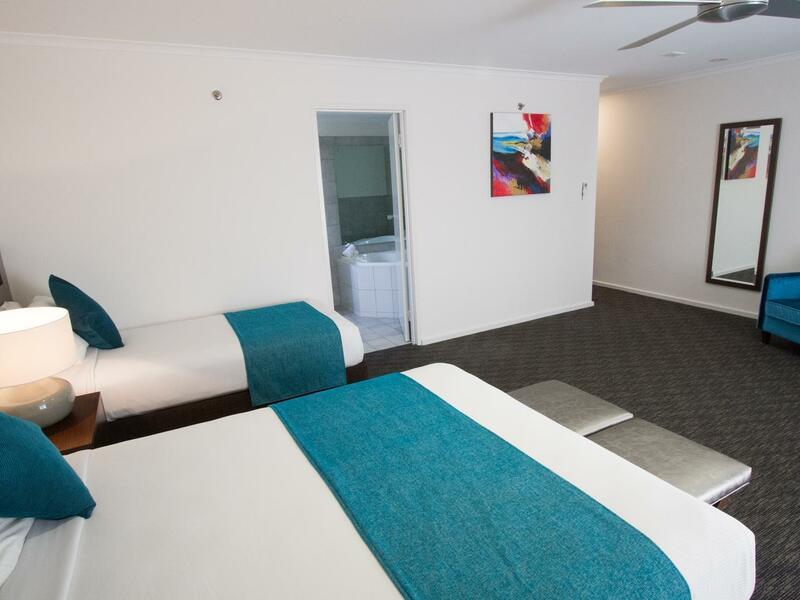 Overall, it was a most pleasant stay and has definitely added to making our first trip to Adelaide memorable. 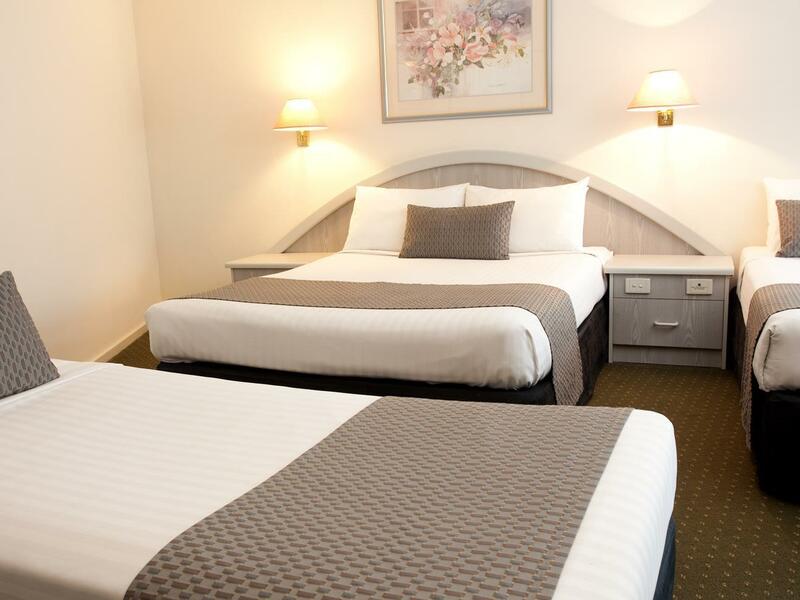 We live in the Barossa and often need a place to stay overnight when in the City. Some rooms are showing some wear but are gradually being refurbished and they are always clean. Best value in Adelaide. Free parking. Staff friendly and helpful. Staff are very friendly and helpful. 25 minute walk to CBD and close to transport. Restaurant had a reasonable range of food. We had a nice stay. The room was comfortable but it does need a little update. The staff are so friendly and really helpful, this is the reason that we stayed here for our second trip. It was nice to see that the restaurant now includes options for vegetarian. 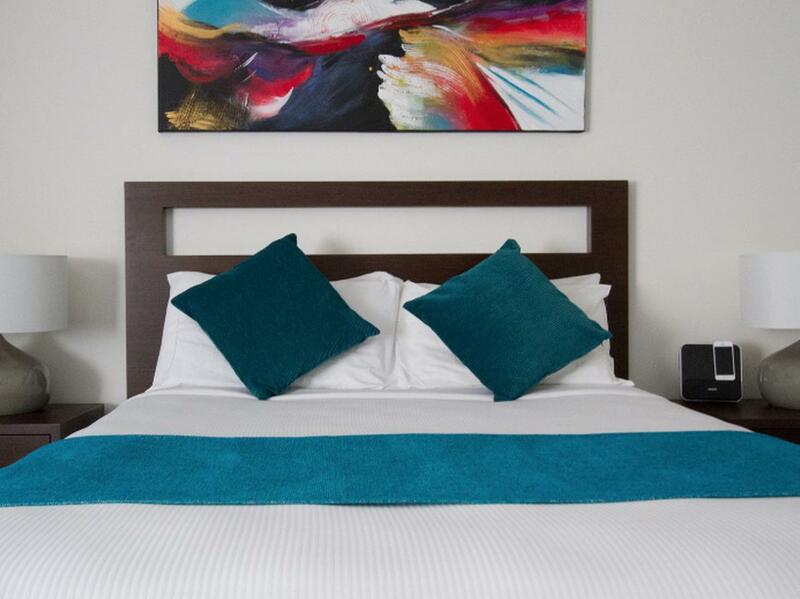 We would recommend it to anyone that wants a clean and comfortable room. 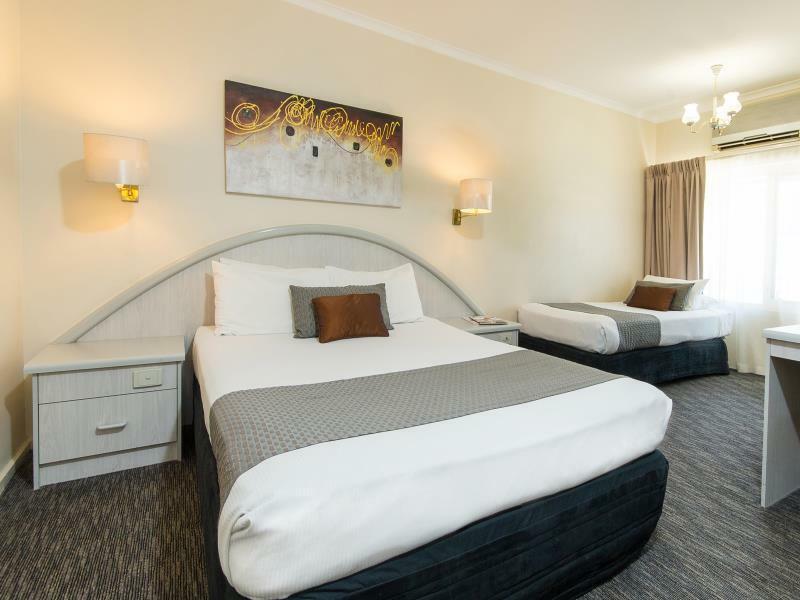 The Adelaide Royal Coach is a comfortable hotel with friendly and attentive staff. Although it is quite large it still seems homely. The rooms are a decent size, there is plenty of room and had a couch, table and chairs and plenty of room to walk around. Restaurant food was delicious and reasonably priced and the staff in the restaurant were very friendly and hospitable. The pool looked so inviting so don't do what I did and leave your bathers at home. Also, don't rely on the free wifi, it was intermittent which was disappointing as was free to air channel reception. But overall I would stay here anyday and really want to try out the rest of the menu!! The very stale air in the otherwise acceptable room suggested that the "no smoking" sign was portable, not permanent. Mattress & facilities fine, breakfast right on time with a preliminary phone call (appreciated). The worst aspect of my ground floor room and a problem that would have been shared by all guests on the northen side of the hotel adjacent to the laneway leading to the carpark at the rear, was the frightfully noisy 5am visit from a rubbish removal contractor. Whether this visit is weekly or daily is irrelevant- guests should not be expected to have their sleep so disturbed at this hour of the day. I could find no points of weakness in this motel. 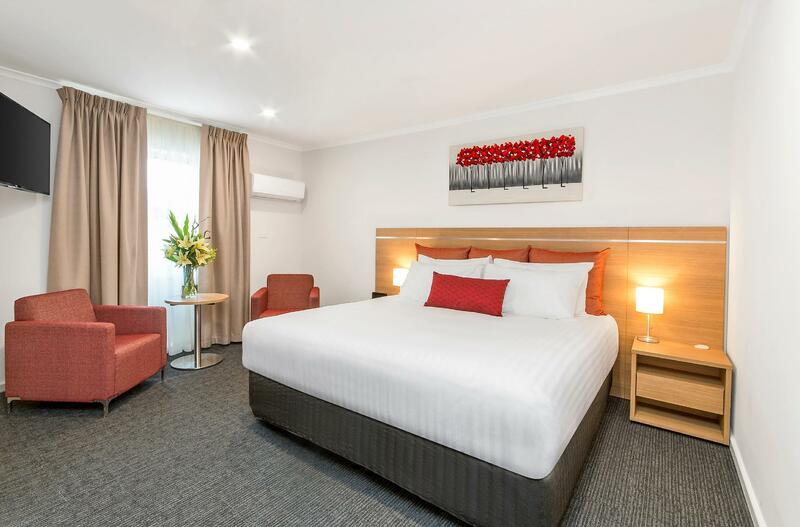 This motel is in a great location, very handy for transport and overlooking the parklands that seperate it from the city centre. The indoor pool was clean and open later at night than one would expect. Staff are extremely friendly and helpful. They answered our requests very readily, booked a coach tour at our request and overall were extremely helpful. 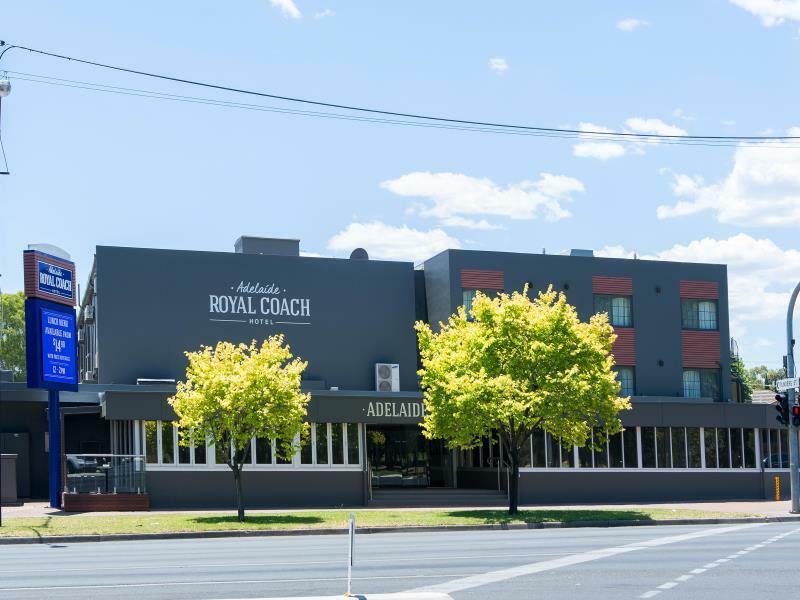 Royal Coach Adelaide is a convenient friendly place to stay. Being close to the city and parklands with all of the conveniences of home, a great little bar for a quite drink before dining at the surperb restaurant. A realistic priced hotel, located in an easy to find area, free car parking, swimming pool,rooms are quite with plenty of space. Be there! Great location, friendly staff and good value for a family of 4. Breakfast buffet was nice. Nothing exotic, but did make eggs to order. However, the room itself really does need a freshen up. Some paint and a bathroom update would make this place! The bed was very comfortable. Room was large and clean. Had a swim in the perfect temperature indoor pool. Then had a very adequate buffet breakfast the next morning. Loved it. Excellent resturant. Great location. Staff excellent to deal with. 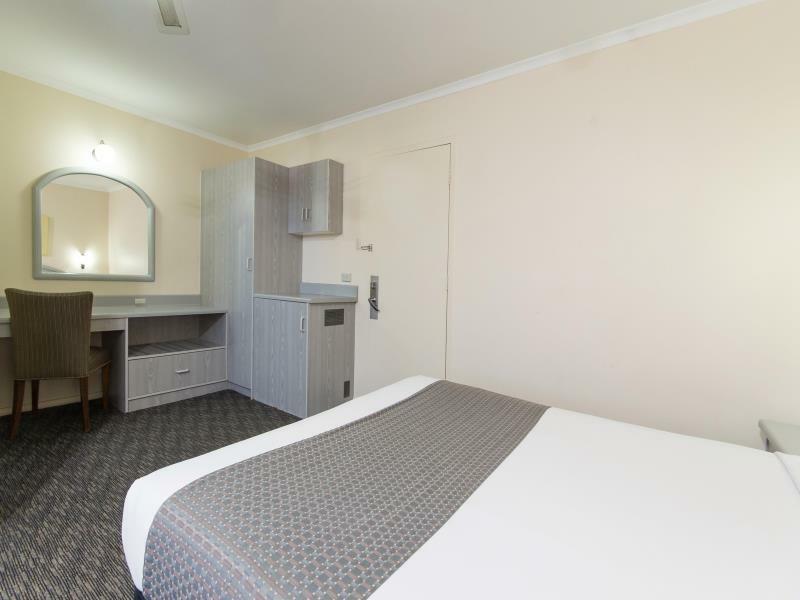 Very convenient for Norwood and city areas with on site parking. Stayed in older room this time but very clean and well appointed. Wifi good, staff friendly, will be staying again. Great stay once again, very convenient location for city and Norwood Parade. Enjoyed room service lasagne, also very well priced! Definitely stay again! Another good stay at tha Royal coach, affordable, great location and refurbished room very comfortable!